Always lovely to receive gift sets, makes it worthwhile buying and if your a fragrance fiend it's nice to have them as either body lotion or a fragrance spray. 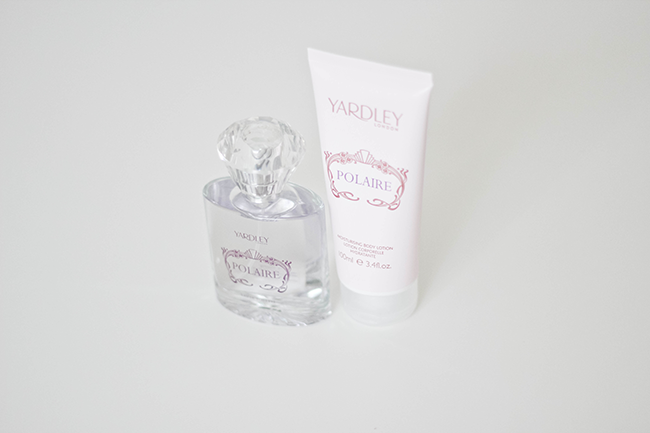 Yardley London have released a Polaire gift set in time for Christmas. It's amazing the combinations that can make a sweet scent, within this gift set you get a 50ml EDT and 100ml Body Lotion. A nice stocking filler. Have you tried any Yardley London products before? What I love most about Yardley is that the scents are so traditional, the packaging is beautiful and the products are within most peoples' budget! I always associate Yardley with women 60+ but this sounds lovely, like the packaging too.